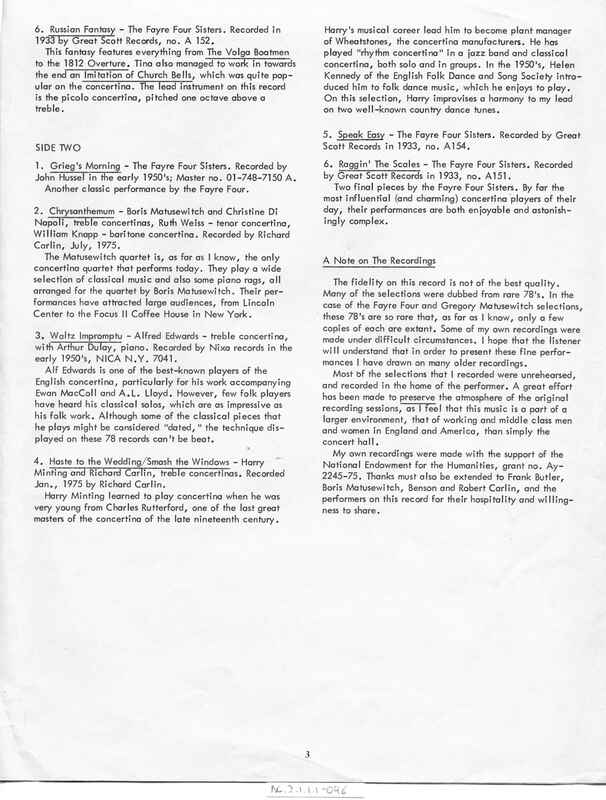 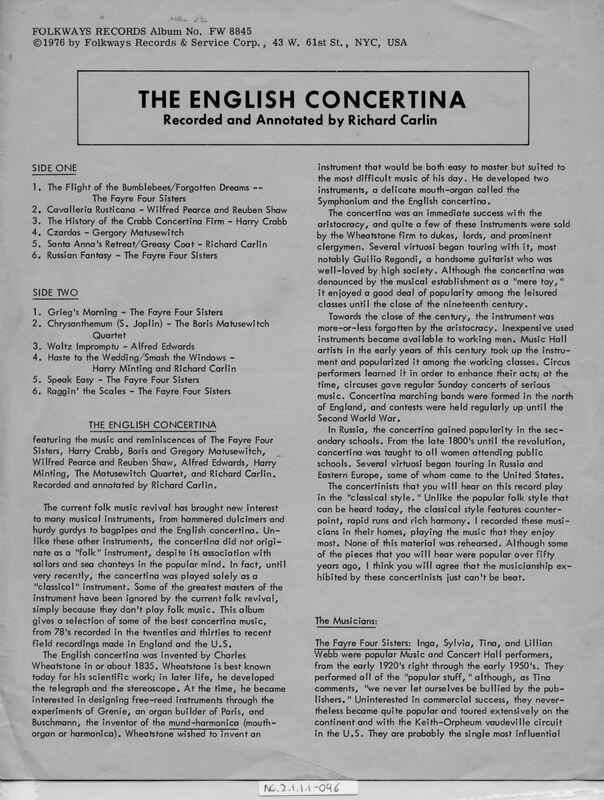 Full Description: The 4-page large-sized LP insert from Richard Carlin's compilation LP "The English Concertina" (Folkways LP FW 8845). 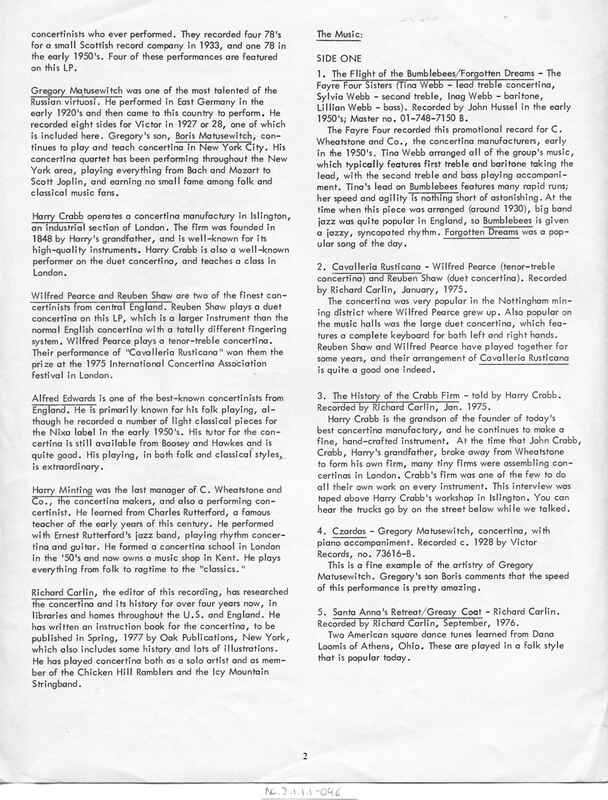 Carlin toured the UK in the '70s, and recorded many older players, including Harry Minting. 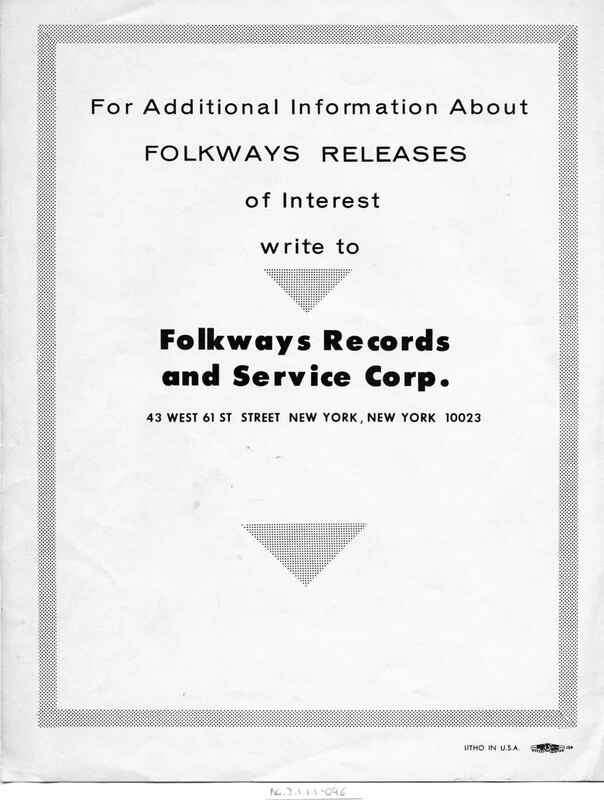 Full details appear within this comprehensive booklet.